5 slopes, the biggest indoor fun park in Europe and a real chairlift - SnowWorld Landgraaf offers a unique winter sports experience in one of the flattest countries in the world. To guarantee the quality of the snow, we perform maintenance on the slopes during the periods below. During the periods below, it may be that the slopes are partially or completely closed. In addition, we carry out maintenance on the chair lift. Unfortunately, the chairlift is out of use in the period indicated below. There are tow lifts available. 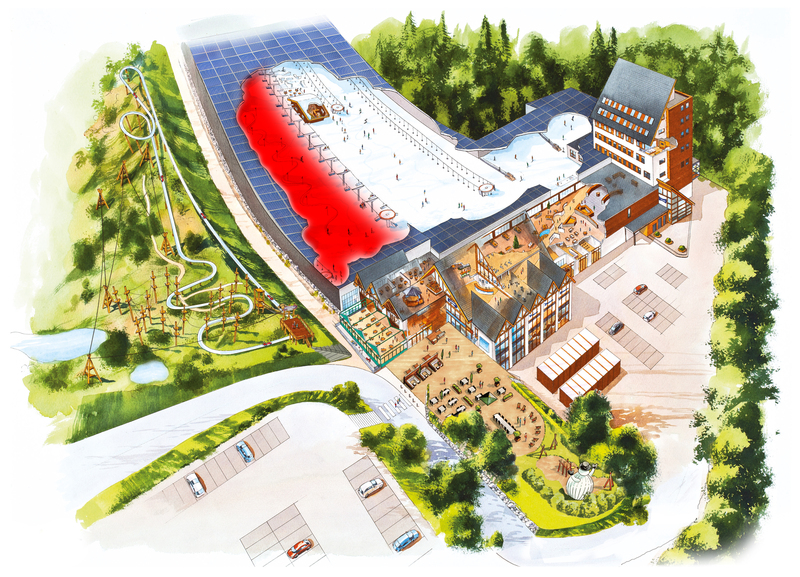 In June, July, August and September ski teams are training in SnowWorld Landgraaf. Piste 1 is partially closed during this period due to training. Dutch Cup on 11 and 12 May 2019: The fun park will be closed on both days until 17:30 hour. Skiing where ski teams from all over the world come to train! Make endless descents down the longest indoor slope in the Benelux! Biggest fun park in Europe - 200 metres long and open all year round! Are you a winter sports beginner? Use this slope to improve your technique! Exercises, tubing or group activities? Slope 4 has it all! Tip: go tubing on this slope on Sundays between 17:00 and 18:00! Tickets are available at the desk for € 15,- including ski pass, tube and boots. A practice slope suitable for the smallest kids!